Always cool down with Iced Tea! On a hot Summers day what could be more refreshing than an ice cold glass of your favourite tea? Well with the weather we have been enjoying this year, at Suki HQ we've been delving into a world of Ice cold flavours! Today we're giving our White Tea Elderflower a go...This white tea has very delicate flavour with floral, herbaceous, malty notes. The base of White peony tea is an amazing starting point, blending this with elderflower adds that delicate floral flavour we have all grown to love, plus naturally decorating the tea with pretty marigold blossoms makes it a stunning tea to look at as well as enjoy! Pour the freshly brewed iced tea over the ice, enjoy! 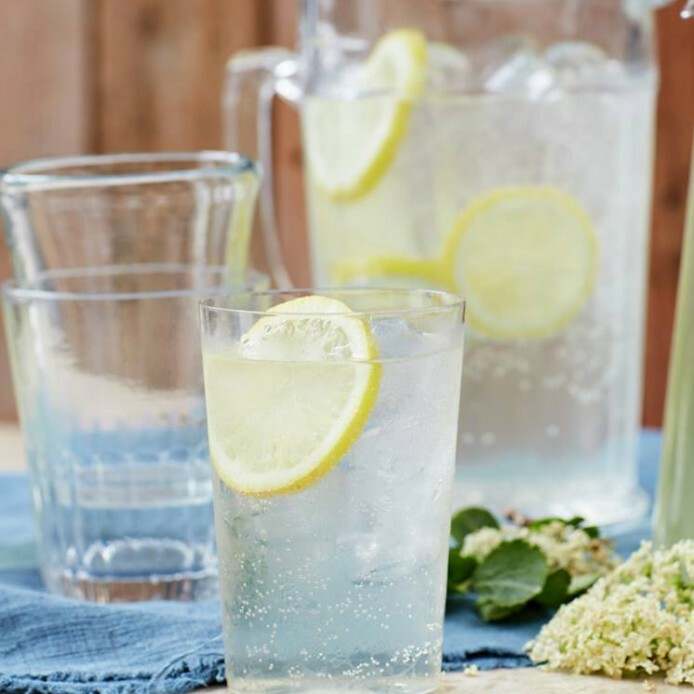 This cocktail is so simple, all you need to do is brew a concentrate of the white Tea Elderflower tea, add a (healthy) shot of Vodka to a tall glass with ice, top with Soda Water or Lemonade and Garnish with lemon for the perfect ElderFlower tea cocktail in the Summer sun!